Apart from treason, membership of this exclusive club has been handed down from father to son since the 14th Century. Membership of what is probably the second oldest club in Britain carries with it certain privileges. Besides a title, there is the right to be excused jury service, from serving as a witness, and – very usefully – freedom from arrest in civil cases. These are just some of the perks. A 24 hour members-only bar, a free parking place in central London and residence in one of the most sought after postcodes in Britain go with it as well. Since 1999, when the membership criteria were relaxed and it was possible for literally anyone to buy their way in, things seem to have gone downhill. And with a threatened Brexit rebellion this week, the future of a hereditary House of Lord’s is once again being threatened. 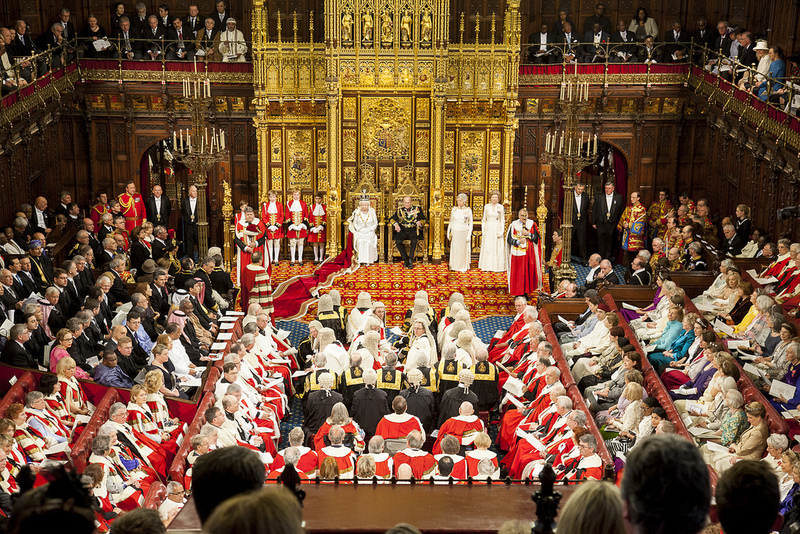 Presently, all peers are appointed by political parties, apart from the 92 hereditary peers who survived the first phase of Lords reform, along with 24 Church of England Bishops and the Law Lords. Membership of the oldest club in Britain has never been something you could earn, or buy or indeed ever deserve for public service. That is because the word ‘membership’ is of Christian origins. Easter is traditionally the time when people were baptised, confirmed and became members of his Church. On Maundy Thursday we gather at Guildford Cathedral to renew our calling to serve the Lord as clergy. In Virginia Water, on Easter Sunday, we encourage church members to renew their commitment to the Lord through their local Church. The Electoral Roll form, we are encouraging people to complete this month, begins “I am a member…” which begs the question, what are the criteria? Over 50 years ago, the Archbishops of Canterbury and York issued a Short Guide to the Duties of Church Membership endorsed by General Synod. To care that children are brought up to love and serve the Lord. These statements have stood the test of time and reflect what it means to be fully devoted followers of Jesus. These statements have stood the test of time and reflect what it means to be fully devoted followers of Jesus. Based on Scripture, they define how we can best grow to maturity together as disciples of the Lord Jesus Christ. Our parish membership scheme is based on this Guide. We are seeking to be faithful to the historic teaching of the Church of England as well as to the Scriptures. So on Easter Sunday we invite members to renew their commitment to the Lord and his church for the year ahead. Specifically, we commit ourselves to protect the unity of our church; share responsibility for our church; serve the ministry of our church; support the testimony of our church; and cooperate with the leaders to fulfil the Vision of our church. Please turn with me to Ephesians 4 and lets examine how to organise church as God intended. I’ve subtitled this, Purpose Driven Membership. We have all been ‘called’ into membership. While our relationship to Christ is personal, God never intends it to be private. In God’s family we are related to every other believer, and we will belong to each other for eternity… If it feels less than heavenly here at Christ Church, sometimes, remember we are here to get some practice! Following Jesus Christ involves belonging as well as believing. We need both. And that epitomises the struggle for the soul of the Anglican communion. Notice Paul does not say “create unity” but “maintain the unity of the Spirit” Unless we can agree that there is only “one Lord, one faith, one baptism; one God and Father of all” we have no unity. Only when we submit to the authority of God’s word in all matters of faith and doctrine, can we share in the unity of the Spirit and experience God’s peace as a family. The implication of these verses is that unless we are intentional, unity will not grow naturally. That is why we use John Maxwell’s, Principles of Conduct to exercise godly discipline and help church members handle disagreements in order to maintain order and unity. Unity doesn’t come from just being nice to everybody. Our unity is in the Gospel revealed in Jesus Christ, by the Spirit, through the Scriptures. The Spirit of God working through the Word of God to make us children of God. Notice there is only one body – one church – and therefore only one membership. There may be many expressions of that body, both in terms of historical denominations as well as geographical locations, but there is only one body – the Body of Christ. That is why it is so important that we earth our membership, we demonstrate our membership, in and through a local church. When we trust in Christ, we become related as brothers and sisters to everyone else who is related to Jesus. A good test of my attitude is this – Have I fewer brothers and sisters than my Father has sons and daughters? All who love Jesus are welcome in membership here. The prerequisite to membership then is personal faith in Jesus Christ as our Lord and Saviour. That is what unites us. This is how we become members of Christ’s Church. We have all been called into membership. The prerequisite to membership. All are called. “To each one of us” – Each one of us has been given an expression of God’s grace as Christ apportioned it. You know what that means? Jesus has a personal interest in each of our church members. He has given each person a role in his church that no one else can do. And if they are not serving, we are all the poorer for it. The prerequisite to membership. All are called. The privileges of membership. All are equipped. Like the House of Lord’s, membership of the Church of Christ is not about status or benefits, its about service. Our role as clergy is to equip, to train, to nurture, to motivate, to inspire, to guide, to prepare God’s people for works of service. We are all servants, and leaders lead by serving the other servants. We are all servants irrespective of our role in God’s household. Isn’t that what happens in a healthy family? It is not about privilege and status but about serving one another in love. The prerequisite to membership. The privileges of membership. The practice of membership. This is God’s purpose for our churches. That our members become mature, become like Jesus Christ. What does maturity look like? If we use the analogy of the family, we were born to reproduce. We begin life as babies, then children, then adolescents, then young adults, then typically parents, then grandparents. But to make it through the life cycle we need to stay healthy. We distribute the Spiritual Health Check survey periodically to help church members assess their spiritual health and invite them to meet with one of the clergy for a confidential review. We were born spiritually to become disciples and to make disciples. With this analogy in mind, we use three short words to define the mission of the church. Win: Build: Send. Winning, building, sending. Everything we do as a church must fit one or more of these objectives. Leading people to Christ (evangelism), building them in the faith (discipleship) and equipping them to win and build others (mission). We try and ensure the termly sermon programme addresses all three dimensions and we have a monthly mission focus Sunday to raise the profile of one of our mission partners to keep the church family outwardly focused. How many generations are mentioned here? Four. The local church is the place where we grow up and mature. Maturity is expressed in reproducing ourselves and finding our place in the Body of Christ. We cannot grow to maturity on our own. We need each other’s gifts and talents and our role as clergy is to help every church member reach their full redemptive potential, given their unique personality, upbringing, age, experience, teachability and maturity. There may be more to growing in Christ, but there is not less and these are the essentials. Purpose driven membership. God is intentional. He has a plan and purpose to build his church, reach the world, extend his kingdom in you and through you, one day at a time. “so that the body of Christ may be built up until we all reach unity in the faith and in the knowledge of the Son of God and become mature, attaining to the whole measure of the fullness of Christ.” All called, all equipped, all serving, all maturing. Do you see the progression here? This is why we should care about defining membership, teaching ownership, expecting discipleship, encouraging apprenticeship, creating fellowship. We have work to do because our church members have not yet reached maturity anymore than we have, and many of our parishioners have yet to hear the good news of Jesus. The Church of England embraces a wide range of churchmanship and our understanding of ministry may differ, nevertheless the Lord created the local church to meet our deepest needs; Worship helps us focus on God, fellowship helps us face life’s problems, discipleship helps fortify our faith; ministry helps exercise our talents; and evangelism helps fulfill our mission. There is no more important membership than of the Body of Christ expressed in a local church. And I hope you will agree, there is no greater privilege than being called to serve as a parish priest. There is nothing else on earth like the local church. I hope you find these principles and resources helpful as you pastor your church family and lead them to discover God’s purposes for them. Almighty God, we pray for your blessing on all who share in the life and work of our Church and Parish: In the ministry of word and sacrament, in teaching and pastoral care, in service through our Diocese and Deanery, the community and those in need, in ecumenical fellowship and co-operation. We pray for all members of our congregations, that in their life and work they may advance your kingdom and bear witness to your love, shown in your Son Jesus Christ our Lord. Amen. This entry was posted in Anglicanism, Bible, Church of England, Sermons, Theology on February 22, 2017 by Stephen Sizer.